Claydon is a large village on the outskirts of Ipswich. Its medieval parish church was declared redundant in 1977. This was a time when a number of churches were made redundant with a speculative view to a sale. It was assumed that planning permission for conversion to a house would be easily obtained. Often, these sales failed to materialise, but the Diocese refused to allow local trusts or charities to take their care on for no financial return. Claydon was one of these, and the writer Sam Mortlock quotes from the Redundant Churches Fund report for 1987: Within sight of new housing and burgeoning prosperity the diocese left this historic church to rot for eleven years while attempts to find an alternative use came to nothing. It is one of the most conspicuous cases of neglect we have come across. In the end, bad publicity appears to have shamed the Diocese into allowing the church to be vested in the care of the Churches Conservation Trust. Today, the church is beautifully cared for by local people, but eleven years of abandonment have taken their toll. 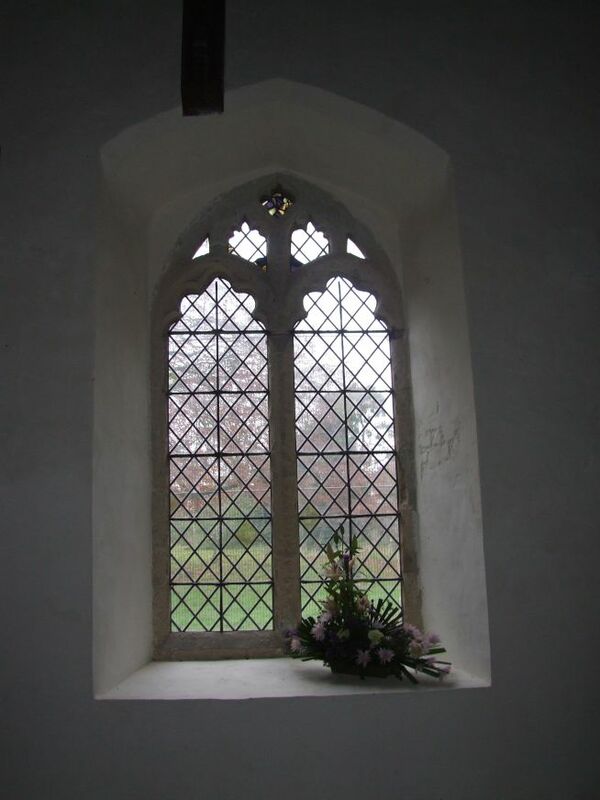 Incidentally, it may seem extraordinary that the parish church for a village of 6,000 people should be declared redundant, but there is another medieval church in the hamlet of Barham on the outskirts of Claydon which is larger, with a bigger graveyard, and which was perhaps considered at the time less saleable. 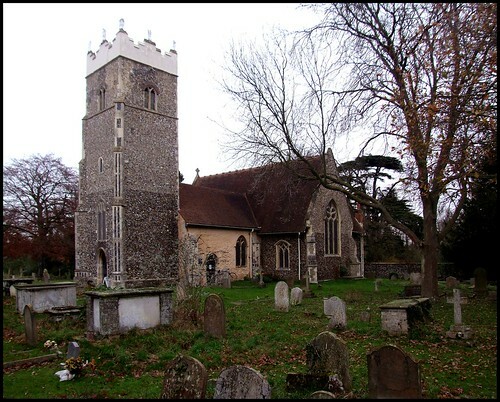 St Peter, Claydon, is one of the great forgotten 19th century rebuildings. In style and substance it looks the work of an amateur Pugin, which is pretty much the truth. The Rector for most of the second half of the 19th century was Father George Drury, one of the great High Church eccentrics. So often in Suffolk, we see the fruits of Anglo-catholicism in their early 20th century ascendancy, as at Kettlebaston and Lound. Here at Claydon, we see evidence a movement beseiged, in the struggles of half a century earlier. Drury suffered attacks on his person, property and reputation. The convent he established was broken into by a mob, who 'rescued' a nun and carted her off to a lunatic asylum, where she was incarcerated under the orders of her father. She stayed there until he died. Drury's rectory suffered so many assaults that he was forced to build a nine-foot wall around it, which soon became covered with anti-catholic slogans. It has to be said that 'Firm Father George' rose to the challenge with enthusiasm. In the 1870s, 50 years before such things became acceptable, his congregation would parade through Claydon with banners of the Blessed Virgin flying, kneeling down with them in a field while singing the Ave Maria. High Mass was accompanied by incense, vestments and candles. The local protestants were scandalised beyond belief; supported by popular opinion and the low church Bishop of Norwich, they hatched plot after plot against him. The most famous of these was the Akenham burial case, which led to a change in national burial laws. The major rebuilding here was by worthy enthusiast R.M. Phipson, the diocesan architect, under Drury's direction, for the Drury family also presented to the living. This was not unusual, of course; many landed families held the patronage of their local church, and often presented a younger son to it. But by the second half of the 19th century, it was becoming less common, as younger sons preferred the opportunities for advancement out in the Empire. It survived only where the family embraced evangelical or Tractarian ideals; for them, the nature of the priesthood had a somewhat higher status. Phipson built a massive pair of transepts across the western half of the former chancel, leaving a great cruciform church with a small chancel. Although this is demonstrably the work of Victorians, there are a number of earlier survivals visible externally, including long and short work at the two western corners of the nave. This is usually indicative of Saxon work, although it is difficult to say how much of this is genuine, and how much Drury and Phipson's sleight of hand. Drury's great secular passion was carving. 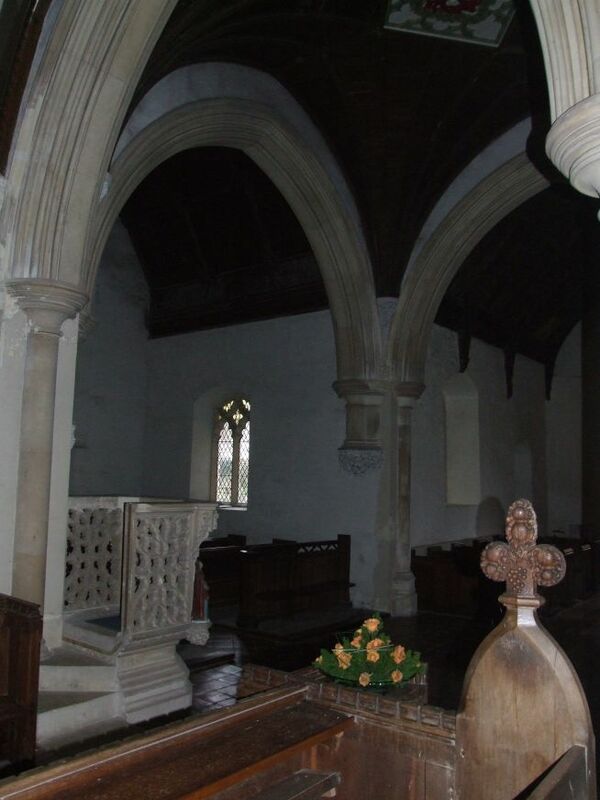 He produced much work here in wood and stone; the pulpit is his, as are many of the little details on roof and walls. 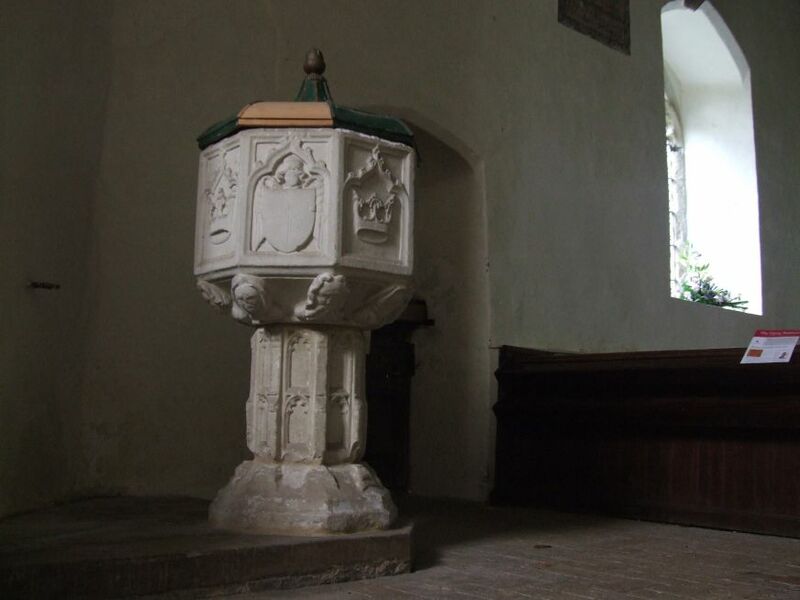 The pulpit is an extraordinary thing, a bubbling, lacy extravaganza, with niches to the two front corners. 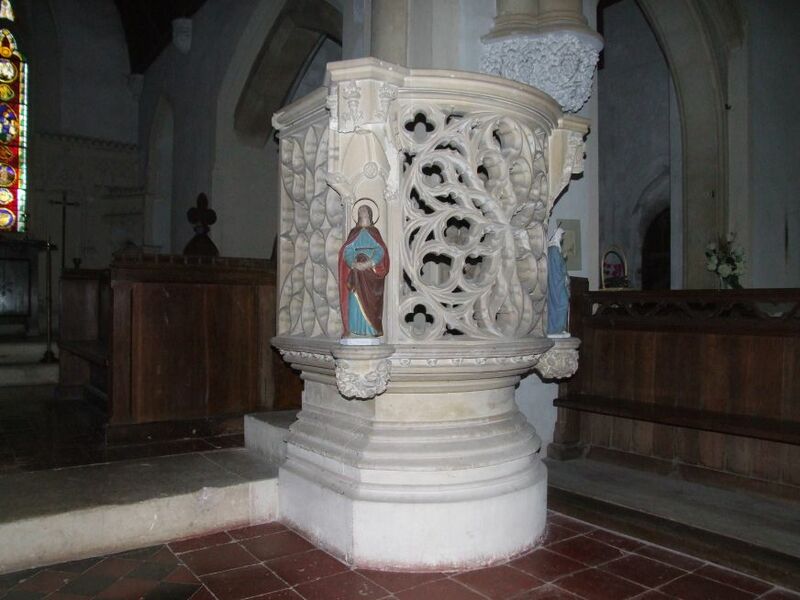 These are currently filled with early 20th century images of St John and the Blessed Virgin, taken from a rood group, although whether Drury ever filled the niches with anything is unclear. The rest of the interior carving, by the great Henry Ringham, was under Drury's direction. This work is an extremely early ritualist makeover, dating from the 1850s. Newman had crossed the Tiber barely 5 years before, and the Sanctus, Sanctus, Sanctus of the reredos must have caused a few racing pulses. The interior is all Drury's design, including the beautiful east window with its pseudo-medieval roundels, and the whole thing is an extraordinary memorial to the man. 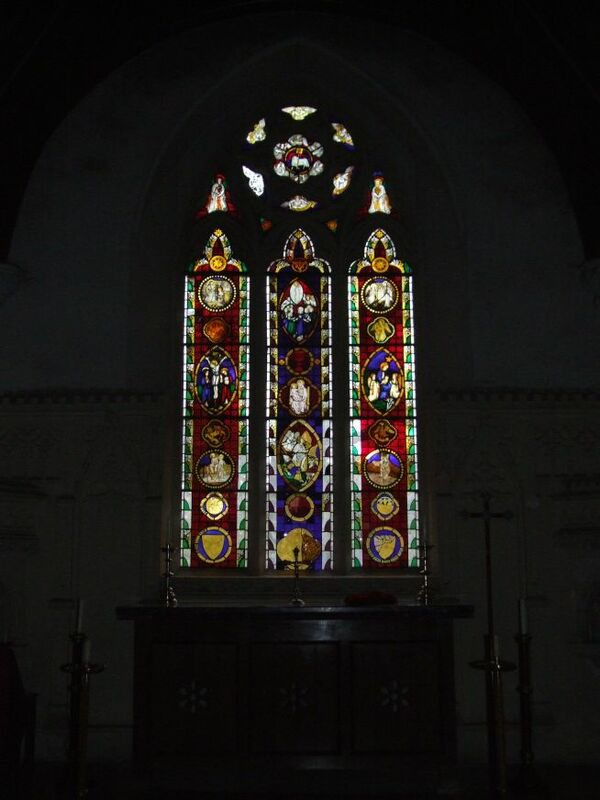 The interior suffered greatly during the years or abandonment - for example, of the large four evangelist carvings under the crossing, only St Mark survives, and the stained glass, especially that in the transepts by Albert Moore, is still peppered with holes from stones thrown by the descendants of those who had stoned Drury himself a century before. The marble mensa stone, with its consecration crosses, was brought here from the similarly early ritualist church at Shipmeadow, when that was declared redundant a few years before Claydon. 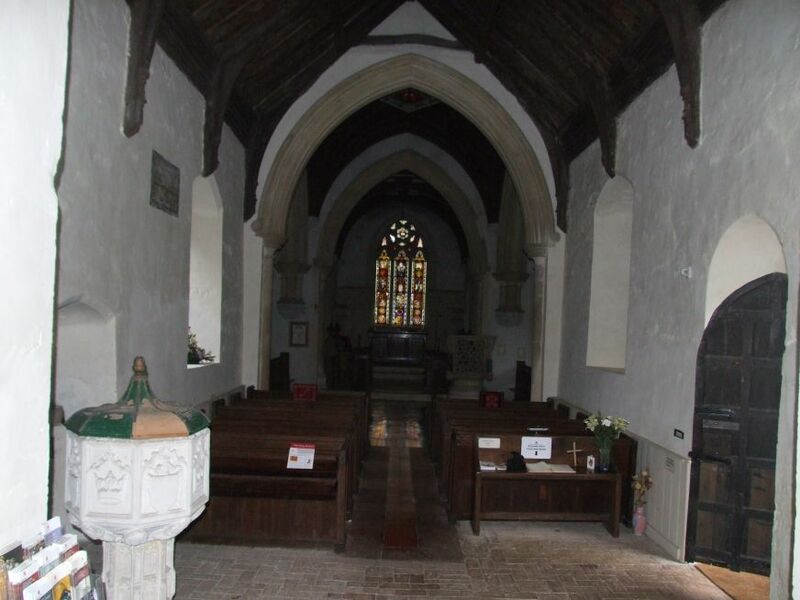 Several features were removed from the church during the course of the 20th century, including the rood screen that Drury had made to go under the crossing, and a large, magnificent war memorial depicting the Madonna and Child by Henry Moore, given to Claydon in 1948 and now to be found on the other side of the village at Barham. I wonder what Drury would have thought of it. Drury was an all-round handyman. He had a brick kiln of his own in the garden, and also built large flint walls in a medieval style around his vegetable garden, using tracery from the ruined church at Thurleston, a mile or so off. The walls culminate in a towering folly, and you can still see this over the graveyard wall. His funeral in 1895 was carefully documented by 'ritualism-watchers', who noted the robed choir, the cross carried in procession, the incense and the sign of the cross. Drury would have been amazed that his position would have been fairly mainstream by the 1930s; less so, perhaps, by its rapid retreat today. His large grave is guarded by railings in the south-east corner of the churchyard, beneath the great yew. For one moment there, one forgets the surrounding suburbia of bungalows and semi-detacheds, the modern High School across the road, the new housing estate. Here, the 19th century still exists. And then, back down to the village centre. At the bottom of the hill, a group of new houses is called Drury Road. A rather mundane memorial to one of the Church of England's great loose canons.